When it comes to running your collectibles business well, there is often as much research required beforehand as there is when you’re actually open. One of the most important aspects of your business is understanding your target market and looking for ways to maximise your ability to reach them through advertising, promotions and more. If you can develop a good base knowledge of what your target audience want, you’ll be able to tailor the items in your shop to suit customers and hopefully your sales will reflect your understanding of your business. Before you open your collectibles business, you should make sure that you’ve carried out a fair amount of market analysis to try and pin down the type of collectibles that your local customers are going to be interested in. Basic market analysis will involve you identifying your primary market early on as this will help you drive your energy and funds into that area. You need to consider whether your target market is large enough to sustain your business and if it isn’t, then you should look at ways of either widening your appeal, or widening the availability of your products in other areas. Identifying your market early on can make it a smoother transition through the pre-opening period and the opening period of your business. Getting your stock in early and monitoring sales of certain items can help you understand how to take the business forward and get a true appreciation of what your customers are after. There are three main areas to look at when you’re trying to identify your target market. Firstly you have to think about why a customer would want to buy your product. A great way of doing this is to look at the features and benefits of the products you stock and see why people would buy from you and not a competitor. Make a list if you need to that outlines the features of your products and the benefits it will bring to the buyer if they buy from you. From there, you should aim to segment your overall market. What this means is that rather than simply trying to target every single possible customer, you should try to tailor your products and services to a particular target audience. This means your advertising and promotion will speak directly to them and your budget will be more cost-effective. Your advertising campaign can be directly focused on your target audience and this means that hopefully you’ll see the results in sales. Market segmentation is an essential part of understanding your target market and knowing the needs and wants of different areas of your customer base will benefit you in the long run. Once you have an understanding of your target market, you can spend time continually researching them. Look online to see what other similar stores are selling, consult trade magazines and specialist publications to check what is popular and what the ‘next big thing’ is likely to be. When you’ve identified the target market that you can sell to, it’s important to look at which target audience you want your advertising to speak to. You may sell collectibles in your shop that cover a wide and diverse audience base, but choosing one of these can be better and more successful for individual advertising campaigns. Generally, promotions and advertising will be dependent on your budget constraints, but overall a highly concentrated campaign that targets one area of your audience is better than a more diffused campaign speaking to more than one. Look at what your competitors are offering and try to either offer something different or offer your items at a better price. People will be loyal to one shop often, so offering something nobody else has is a better approach if you can find items that are rare or limited. It is a great idea to continually change your target audience for advertising purpopes, because putting all of your resources into one area may be a financial drain if demand for a certain collectible decreases. If you can run compact campaigns that change from month to month, or as demand determines, then you’ll be able to cover more areas and hopefully continue to speak to the right audience. 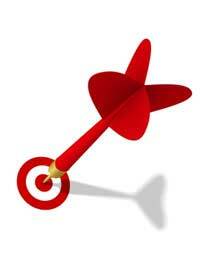 Whenever you do target market analysis, make sure that you keep a good record of what campaigns work for you and why. Track all of your advertising and always stick to your budget. It’s easy to want to cover all different groups of customers, but you’ll end up with high advertising costs and not enough sales to cover it or to make a profit. Stay within the confines of what you feel is acceptable to your business and try and be inventive when you decide to go ahead with advertising. Knowing your target market should allow you to almost feel that you can ‘get inside their head’ and doing this can be a great success to your collectibles business.